The Armchair Theologian – Page 2 – Disestablishmentarianism in the UK, okay? [If] you know not a principle within, which is of God, to guide you to wait upon God, ye are still in your own knowledge…. But waiting all upon God in that which is of God, you are kept open to receive the teachings of God. 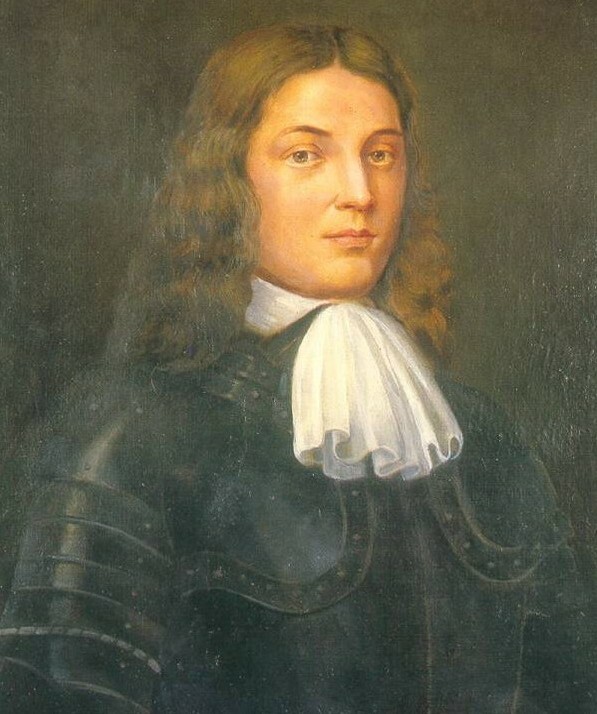 (George Fox). The God who made the world and everything in it is the Lord of heaven and earth and does not live in temples built by human hands… we should not think that the divine being is like gold or silver or stone—an image made by human design and skill. In the past, God overlooked such ignorance, but now he commands all people everywhere to repent. For he has set a day when he will judge the world with justice by the man he has appointed. He has given proof of this to everyone by raising him from the dead”’ (Acts 17:24-31). But oh, then did I see my troubles, trials, and temptations more than ever I had done! As the light appeared, all appeared that is out of the light, darkness, death, temptations, the unrighteous, the ungodly; all was manifest and seen in the light….And then the spiritual discerning came into me, by which I did discern my own thoughts, groans, and sighs, and what it was that did veil me, and what it was that did open me. Both a mystic and a scholar, he sought to understand the mystical experience, so he studied it. And in that study, especially his study of Neoplatonism, he found the notion of the divine spark. He also wanted to place his own mystical experience in both the mystical traditions of the world (or at least, of the West) and in his own tradition of Quakerism. He accomplished this by defining “that of God” as a divine spark after the Neoplatonists, even though George Fox never had any such idea in mind when he used the phrase. Thus, was liberal Quaker “theology” born. What did this shift mean for the subsequent development of Liberal Quaker reflection? The first thing to be said is that Jones’ equation of ‘that of God’ with the Neo-Platonic divine spark, subtly shifted the Quaker message away from Fox’s claim that ‘there is one, even Christ Jesus, that can speak to thy condition ‘, to ‘there is an indefinite Deity who lives in you already’. One thinks of the roundly impersonal God of Stoicism or the shadowy Atman of the Upanishads. What is lacking in such an approach is religious specificity. Such a God demands nothing specific, loves nothing concrete, calls us to nothing, other than the ‘experience’ of that which cannot be named. It is nearly impossible to imagine such a divine spirit declaring as Yahweh does in the Hebrew Scriptures: “For the sake of Jacob My servant, And Israel My chosen one, I have also called you by your name; I have given you a title of honor Though you have not known Me’ (Isaiah 45:4). Impossible because the Platonic God of Jones is not tied to history, beyond the personal histories of those who look within. The domain of the divine spark is not nations and communities, but hearts and individuals. Here the God with a story is jettisoned in favour of a universal mystical Power which is inherent in all people (making everyone a little bit divine). After Jones, it was possible to say (along with some reconstructed Sufis and Theosophists) that Quakerism was just part of a generic perennial wisdom which was the property of all wise and good spiritual seekers. In this way, all people, were understood as Quaker already. [The] advantage of…that-of-God is that it’s not scary. The idea of a soul with an afterlife is scary; scary as hell. Who wouldn’t trade divine judgment for a nice little divine spark? This fear helps to explain why, after decades of relying more and more on this little phrase, we have yet to elaborate on what “that of God in everyone” actually means. The vaguer it is, the nicer it is. If this description is right, it seems clear that Liberal Quakerism is increasingly good at supporting and affirming individuals, but less good at binding us together as Friends. To worship God in this ecstatic sense is to be taken to the heavenly court where the saints and angels praise the Lamb. What does such imagery tell us? We do not worship just for ourselves, but for the whole community of worshippers throughout all time. We worship with and for a creation which is infused with God’s promise of healing. 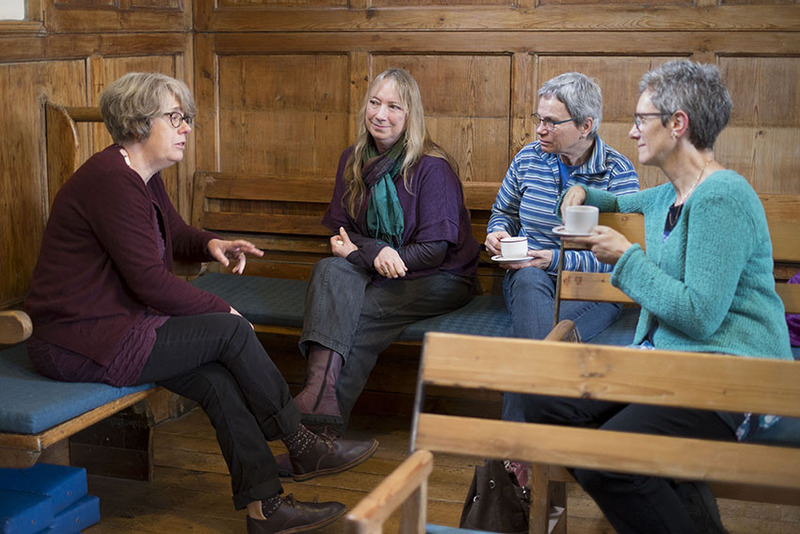 In this shape, Quaker silence is not merely a spiritual retreat, it is our Eucharist when we celebrate the love of a God who feeds and guides us. The royal road to such spiritual food is in confronting our wounds and wrongs (the things which need care and mending). By allowing ourselves to be embraced by the Spirit, God’s Light shows us our darkness and brings us to new life. Here vague mysticism gives way to a meaning and direction not our own. Grace is all about being carried along by that. What a scary and awesome thought! Of course, not every individual Meeting for Worship will be equally earth-shattering, but the point is that our Worship is made for radical transformation, embedded within the story of a God who wishes to turn the world upside down. The invitation is always there if we wish to take it up. We do our individual spiritual journeys a deep disservice when we replace this cosmic vision of ‘that of God’ with an insular model of personal religion which excludes the possibility of a spiritual path with shared words, images, and focus. But perhaps the scariest aspect of recovering this approach to our Quakerism is that it places on us the responsibility to articulate and share the feast we are part of. If weary Friends detect a whiff of evangelicalism in these remakes, they are right to do so. Calling back the God with a story to the very heart of our Worship means retrieving the Good News the phrase ‘that of God in everyone’ is intended to express. This doesn’t mean we all must believe, or indeed say the same thing, but it does mean we need more trust in our Quaker-speak, including our language around the moral life and God. It isn’t about policing or conformity, but about blending our story with the story of the Quaker Way, allowing our hearts to open to all that has been revealed. Such trust will, with a bit of luck, help us to get back to specifics and shake off the story-less deity of Jones. In the power of life and wisdom, and dread of the Lord God of life, and heaven, and earth, dwell; that in the wisdom of God over all ye may be preserved, and be a terror to all the adversaries of God, and a dread, answering that of God in them all, spreading the Truth abroad, awakening the witness, confounding deceit, gathering up out of transgression into the life, the covenant of light and peace with God……[Be] patterns, be examples in all countries, places, islands, nations, wherever you come, that your carriage and life may preach among all sorts of people, and to them; then you will come to walk cheerfully over the world, answering that of God in everyone (Quaker Faith and Practice, 19:30). Does the United Kingdom Have a Future? I wanted to make clear that strengthening and sustaining the bonds that unite us is a personal priority for me. I am confident about the future of our United Kingdom and optimistic about what we can achieve together as a country. The fundamental strengths of our Union, and the benefits it brings to all of its constituent parts are clear. But we all know that the SNP will never stop twisting the truth and distorting reality in their effort to denigrate our United Kingdom and further their obsession of independence. It is their single purpose in political life. We need to be equally determined to ensure that the truth about our United Kingdom is heard loudly and clearly. As Britain leaves the European Union and we forge a new role for ourselves in the world, the strength and stability of our Union will become even more important. We must take this opportunity to bring our United Kingdom closer together. But there is one thorny problem committed Unionists like May have. They don’t seem to be able to directly answer the question: what exactly is the Union for? They often talk about economic prosperity and opportunity. These generic goals are hard to generate enthusiasm for at the best of times. Yet after seven years of public sector cuts and rising in-work poverty, they are doubly difficult to sell. But the problem runs deeper. It is not only that Unionists can’t sell their generalised slogans, they are not certain what these slogans amount to. This lack of a positive and coherent vision became blatantly obvious during the Scottish Referendum in 2014. It included the extraordinary sight of an impeccably English PM admitting how much ordinary Scottish voters ‘effing hated his party. He looked like a Persian general at Marathon who had just been handed over to the Greeks. This wasn’t his country anymore. Consequently, the Unionist side wrestled over what they loved about modern Britain (or more specifically what contemporary Scots should love). In the end, the British establishment fell back on Project Fear. It was easier for the No Campaign to imagine Scotland covered in a plague of post-Referendum locusts than it was for them to conjure some new sunny uplands for Scotland inside the Union. And why was this? Primarily, because the tried and tested symbols Unionists habitually used in previous decades to bolster their story of a single ‘Realm of nations’, had been exhausted by the march of political circumstances. Every declaration of patriotism sounded like an old, slightly grubby cliche. 1945 was the height of Unionism in the UK. National solidarity was at its zenith. Britain had a whole series of shared institutions. Not just the BBC and the NHS, but the great nationalized industries which bound communities together from North Yorkshire to Strathclyde. And while the Conservative government remained a dominant electoral force in the post-war world, many Conservative politicians (including Harold Macmillan, Edward Heath, and Iain Macleod) understood that to keep Britain united, the Party needed to respect the Social Democratic values of many parts of the country. They couldn’t go imposing a rigid ideological plan without consultation and sensitive application. In this respect, Keynesianism was not merely good economics for these centrist Conservatives, but a method of sustaining a stable national community. But these bonds began to come under strain in the 1970s as economic instability caused the politics of full employment and social moderation to unravel. The Union was always a state-sponsored creation and as large parts of the state withered in the late 1970s and early 80s) people began to associate themselves more with regional and local identities and less with something called the United Kingdom. This process predated the emergence of Thatcherism, but its formal adoption by State elites after 1981 certainly accelerated the process. Thatcher’s repeal of the Scottish Devolution Bill early on in her tenure was a signal that she would not compromise like her predecessors, but it was also a sign that she was uncomprehending about the need to renew the Union. Her inattentiveness to this issue eventually decimated the Conservative Party in Scotland and secured the rise and rise of Scottish nationalism. With every laid-off pit worker and every industrial closure, Thatcherism shot bolts of high-voltage electricity through the weak heart of the Union. The Welsh story is a slightly different one (without the surge in nationalism) but with similar outcomes. While there is no overwhelming appetite for a formal separation in Wales, there is little love for Westminster and the apparently shared symbols of Britishness. One thing Mrs Thatcher never seemed to understand was the extent to which her political project of markets and deregulation was in many ways toxic to the cross-national, cross-regional connections which continued to make the Union possible in a post-imperial setting. This was compounded by her petite bourgeois snobbishness which made few concessions to local identities and customs not infused with the mores of Middle England. These peculiarities would be bent to her policy objectives or else they would be bulldozed. Rapid de-industrialisation and the rise of mass unemployment in the Thatcher era raised key questions for national solidarity which were not answered by the ministers who implemented the Thatcher revolution. As old identities and occupations died out, the government did relatively little to generate new identities and shared occupations. Anonymous, low-skilled service-sector jobs replaced employment rooted in a language civic pride and communal effort. This left behind a bitter resentment and bewilderment of which the political and social symptoms in Britain are still legion. It is principally expressed, however, by a bitter assertiveness with voters talking about a loss of national pride expressed in the decay of their local areas. Scottish nationalists similarly draw on a narrative of mismanagement and decline inflicted by politicians in London. And what part has the Labour Party played in this sorry tale? At every turn, Labour has been outwitted and outpaced by the forces of change, and found it hard to develop its own reason for the Union. With its own political heartlands now gutted, the old industrial and class symbols which once made sense of Britannia for 20th century Social Democrats has died a pitiful death. And with the destruction of such a symbolic framework, has come the demise of the Left’s deep love affair with the Union. In 1997, Labour believed it could rediscover its political soul by embarking on the experiment of devolution for Scotland. But in the end, it merely compounded Labour’s modern identity problems. Scottish Labour now feels pulled between a Scottish identity it feels uncomfortable defining, and its instinctive desire to oppose the Nationalists. Suffice to say these conflicting impulses have caused Scottish Labour politicians into a series of undignified contortions which frequently end with them saying very little at the podium. This haziness underlies the reason for Labour’s electoral decline in Scotland. No-one knows what the point of Labour is anymore. Like Unionism more generally, the flame of progressive Britishness has been reduced to a mere ember. Does Unionism Have a Future? [The] Union which we all care about is not simply a constitutional artefact. It is a union of people, affections, and loyalties. It is characterised by sharing together as a country the challenges which we all face, and freely pooling the resources we have to tackle them. The existence of our Union rests on some simple but powerful principles: solidarity, unity, family. How does she envision these values working in practice? Like many modern managerial politicians, the Prime Minister talks about issues to be fixed but is less able to articulate what all this fixing is in aid of. She seems as unclear about the essential glue of the Union as she is about the mechanics of Brexit. Her struggle lies in the fact that she evidently finds it hard to summon up a deep and abiding symbolic language. She is captured by the banality of political prose when she really needs more poetry, more emotion, and more understanding of the images that make many ordinary Scots feel proud. This is not an existential problem faced by Nicola Sturgeon. Despite losing the Referendum campaign, the SNP has a much stronger sense of what it is, and the kind of future it wants to build. In the long-run, it seems that this sense of vision will have a greater effect on the future of Britishness than any Conservative bluster about the Union at the level of the abstract. The problem for the modern Conservative Party is that they mistake antagonism for a positive project. This is also a legacy of Margret Thatcher, who was defined more by what she was against (state-dependency, socialism, overmighty trade unions) than what she was for. But the Union cannot be conjured into existence by merely bashing the SNP as ‘the enemy within’. Making the Union work takes courage, imagination, and vision. Yet, it seems that the present government hasn’t the faintest idea about how to accomplish that. Their plates are too full with the complexities of European disentanglement to be seriously engaged in the task of domestic political renewal. Indeed, the Westminster government appears to be continuing with the same shallow politics of divide and rule which will doubtless benefit it electorally in the short-run, but drive the United Kingdom further apart. Should we resist this process? I used to think so, but now I wonder what the point would be. So, these lands can be dragged further down a heartless neo-liberal rabbit hole? So we can have more customers and fewer citizens? Here’s the blunt truth. If Unionism is going to survive, it needs a guiding reason to exist. If Unionist politicians are incapable of telling a new and convincing story about what Britain is and what it could be, it would better for the Union (and 1945 Britishness) to be left to die. The United Kingdom has no God-given right to exist, and Unionists, in particular, should remember that. With the rise of Trump and his proto-fascist movement, I and many other followers of Jesus are asking: What does it look like for the church to become mobilized in the struggle for justice – not just as individuals, but as whole communities? How do we muster the courage and energy to live in solidarity with the many people who may be marginalized, ostracized, and terrorized under this new administration? While my own sympathies are with Micah, the thought strikes me that both Christian accommodationism and Gospel-inspired resistance might actually circumvent some of the more important issues Christian communities need to wrestle with in relation to Trump. That is because both positions are in danger of assuming that it is the role of Christians to invest the public sphere with morality or decency, whether that is supporting civil rights legislation or opposing abortion. Yet such activism is always to the detriment of first order questions including, what is the proper relationship between faith and public life? And what is the moral and political structure of America? Answer these questions satisfactorily, then you will have a model of Christian faithfulness which transcends the often poisonous debate beyond the occupant of the White House, his policies, and agenda, and forces people to consider deeper issues of American Christian identity. The danger of not asking these sorts of questions is that Christians become sucked into the partisan political systems of democracy, rather than developing their own voice and practice. It is not the responsibility of Christians to make sure liberal democracy works well. It is the responsibility of the Church to be faithful to the God found in Jesus. Thus, according to Hauerwas, American political identities are always inherently ‘liquid’ because American public institutions are intent on protecting the premise that story-less ‘freedom’ is of absolute and overriding value. What is it like to live under these conditions? For Hauerwas, to be American is to be projected perpetually into the progressing future, erasing all notion of past, custom, particularity, and roots. If America has a public philosophy for Hauerwas, it is a steely technological universalism, which cherishes the individual above the communities to which that individual belongs. While such a social order is flecked through with beguiling choice and playful excess, it ultimately leads to a monotone world where human experience is forced into a single techno-libertarian pattern. As Hauerwas puts it elsewhere: ‘To be sure America has a history, but we see our history as an outworking of our ideals, which are available to anyone, anywhere. America is, of course, a country, with a diverse and extraordinary geography that invites a sense of place. Yet as the most advanced capitalist social order our history and geography…are increasingly subject to the processes of modernity that require standardization. You have to be able to build a WallMart and sell MacDonald’s everywhere’ (War and the American Difference, p. 153). This logic of standardization and rootlessness is always to be contrasted for Hauerwas, with the rootedness of the Church. While the Gospel can never be identified with any national community or secular political creed, it invites people into a community and a politics. It is a community and a politics ordered by a particular story: the narrative of the God of Isreal and his outworking in Jesus Christ. At the core of this narrative is not ‘freedom’ but character. God wants to enter our lives, to shape and enrich them. If freedom exists at all in the Gospel, it does so in relation to a God which longs for human life to take on a particular shape and direction. Life is not self-created but is ‘created’, to serve as a mirror of the divine life. God gives freely so that we might share in a transformed sense of ourselves and others. This doesn’t mean that local identity is of no significance. It only means that social labels like ‘British’, ‘American’, or ‘Korean’ must be ordered according to the shape and direction of the Christian story. Thus, the Church cannot properly know what ‘America’ means’ divorced from the component parts of the story that keep people Christian. To attempt an interpretation of national identity apart from the Gospel is liable to tempt Christians into a peculiar kind of ethnocentric idolatry. Hauerwas’ analysis flowed back to me as I watched Steve Bannon’s contribution to Conservative Political Action Conference on the 23rd of February. As the closest thing Donald Trump has to be a paid-up ‘public philosopher’ Bannon provides a vivid (and at tines troubling) articulation of the aims and ethos of the new administration. At the heart of his public vision is the assertion of the ‘nation’ in the midst of the fluidity and unpredictability of the globalized world. “We’re a nation with an economy,” says Bannon, “not an economy just in some global marketplace with open borders, but we are a nation with a culture and a reason for being.” But what does “the nation” mean for Bannon? What is fascinating is that it is easier for Bannon to say who does not belong to ‘the nation’. He rejects the ‘corporatist, globalist media’, ‘the administrative state’, ‘Muslims’, and the meddling of ‘Progressives’. According to Bannon, the nation will be formed when there is a genuine ‘a fight’ with vested interests. Why is Bannon so keen on defining his vision in negative terms? In part, the answer may lie in the Hauerwasian contention that the American project is inherently about a story-less future. Consequently, most of Bannon’s claims are less to do with cultural essence and more to do with economic freedom of the nation ‘to do things’ (‘sovereignty’, ‘bringing back jobs, and ‘supporting deregulation’). But these are merely conditions of American choice. They don’t actually tell us what it means to be an American. It is almost as if what is being suggested is that America is what a Trump administration does. But if you think about it for a second, that’s all a story-less politics can really do. It can only talk about conditions of action, it has no account of what actions should be preferred and why. Beyond the defense of doing and choosing, it has little substance. In this respect, Bannon’s deployment of the ‘nation’ seems to be something of an empty signifier. But this is exactly what we should expect if Hauerwas is right about the structure of American identity. Bannon cannot go beyond the logic of exclusion because deep down he does not know what to include. This is despite all his bluster about how capitalism depends on the presence of “Judeo-Christian values.” How could his analysis not contain this problem of substance? If Hauerwas is right it is not some ‘cultural other’ that has led to a crisis in American identity, but the modern project itself. Sure, the U.S. contains many ‘local cultures’, but “the Idea of America” has always been about universalist liberalism (America is a cosmopolitan country offering a refuge to ‘the poor, hungry and tired of the earth’. So in one sense ‘Americanism’ is the philosophy of universal citizenship so that to live in America is to live ‘everywhere’ and ‘nowhere’ at the same time. America has never been a nation like the organic political identities of Europe, built on ancient linguistic, tribal, geographical and religious ties. It is a political experiment in Lockean liberalism. Thus, the most such a politics can do is promise is defend freedom from outside interference. It cannot really build any kind of community with common bonds because there is no real direction at the heart of political life. Conservative activists may try to fill this gap with ‘getting the right guy’ on the Supreme Court bench’ or the assertion of ‘family values’, but most of these reflexes either boil down to procedural issues or turn out to predicated on hating some ‘nebulous’ political other. Of course the same can also be said of the dynamics of much of American Leftism today. They only know what they are by what they are against (racism, sexism, homophobia) yet they lack a coherent account of what a good life together really consists of. On both sides, the issue of ‘the point of being American’ is scarcely addressed. This lack of clarity is exacerbated by the fact that ‘American civilization has increasingly re-made the world in its own image. There is now a very real sense in which America’s liberal vision is now the world’s default culture through the power of the U.S. media, military power and corporations. That was the great irony of Trump’s policy of the Wall. It was a measure to keep the world out, but the world increasingly looks and feels like America. This, in turn, raises a thorny question. If America sits enthroned at the heart of a global culture, what exactly is Bannon trying to protect? And how does this nationalist agenda relate to America’s liberal founding myths? Perhaps the election of Trump is fundamentally about a deep recognition of American ’emptiness’ among its citizens. Such has been the relentlessness of American liberalism that it caused the world to ‘melt into air’. By recycling the language of ‘America First’ Trump’s election attempts to reassure us that there really is ‘something called America’ in modernity’s hall of mirrors. The fact that many American Christians have found solace in such assurance would suggest to someone like Hauerwas, that they are not looking to their story, or to put it another way, it is more important to such folk that they remain loyal Americans, rather than loyal Christians. America is neither dream nor reality. It is a hyperreality. It is a hyperreality because it is a utopia which has behaved from the very beginning as though it were already achieved. Everything here is real and pragmatic, yet it is the stuff of dreams too. It may be the truth of America can only be seen by a European, since he alone will discover here the perfect simulacrum – that of the immanence and material transcription of all values. The Americans, for their part, have no sense of simulation. They are themselves simulation in its most developed state, but they have no language in which to describe it, since they themselves are the mode. This description offers an excellent hint about the urgent tasks of U.S. Christians in the age of Trump. In the years ahead the simulations of ‘America’ (its destiny and its enemies) will doubtless grow in noise and intensity, in order to fill the hollowness of the body politic. Public discourse will likely become more bitter as participants continue with the fiction that they ‘believe in something’ no matter how dark or brutal such belief turns out to be. The chilling possibilities of such logic appeared soon after Trump’s election in the form of the White Supremacist Richard Spencer who declared that ‘Donald Trump’s movement, whether [Trump strategist] Kellyanne Conway wants to admit it or not, was fundamentally about identity for white people.’ In times of crisis, the idols of blood, soil, and nation can be a tempting way to the fill the political void. Instead of allowing such clay gods to stand, U.S. Christians need to remind their fellow citizens of the ephemeral nature of political platforms, party machines and even America itself. They must unmask the illusion of national greatness and subject their country’s most cherished myths to heated criticism. 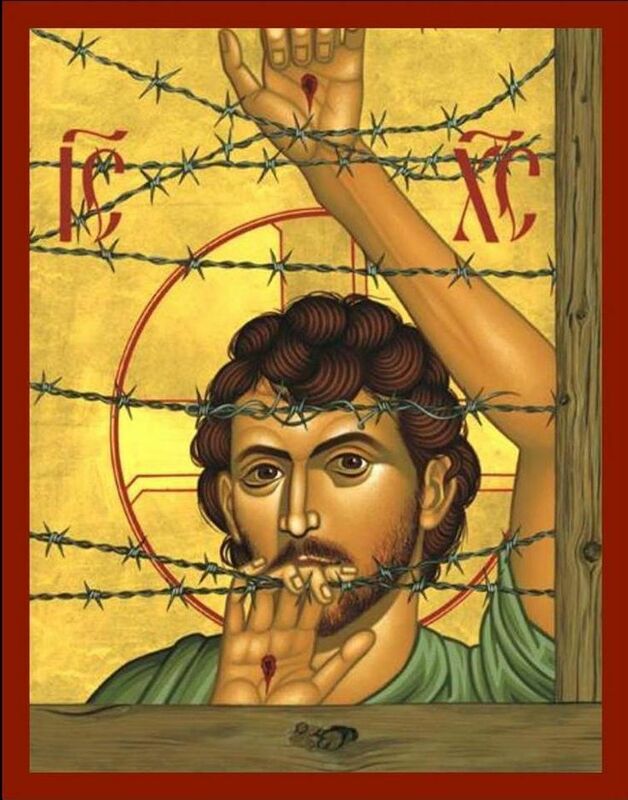 Above all, they must steer clear of those like Bannon who talk about something called “Judeo-Christian values” which are divorced from stories Christian tell about hospitality towards the stranger, strength through weakness, and justice for the poor. ‘Be faithful in prayer’ says Paul, but what should we pray for? If we take our cue from Trump at the Washington Prayer Breakfast last month, we might suppose that we should pray for the ratings of the President’s media enemies, or maybe even for robust U.S. trade figures in the Spring. But Trump’s bizarre behavior at this event merely underscores the confused state of Christianity in America, where prayer has been confused with the lure of the American dream, akin to some secret mode of positive thinking. But this is all wrong. Prayer, as Paul understood was about service and not about accomplishment. The prophet Jeremiah puts it this way: ‘seek the peace and prosperity of the city to which I have carried you into exile. Pray to the LORD for it, because if it prospers, you too will prosper’ (Jeremiah 29:7). But this isn’t just any kind of peace or any kind of prosperity (just enough peace and prosperity for Sales figures to tick over) but the kind of prosperity and peace which is governed by the imperatives of justice and care. Such an imperative is not identical with any one political tribe or platform, but it does force us into the public square to contend for both peace and justice. In doing so there is always the temptation that Christians start talking in political accents they have inherited from the wider culture (the language of Progress, markets, redistribution, or liberty) and forget their own story. What are the key plot points of this narrative? “God is love” (1 John 4:8) and ‘God so loved the world that he gave his one and only Son, that whoever believes in him shall not perish but have eternal life’ (John 3:16). But such a living invitation is not about a sentimental self-satisfied kind of love because as Scripture says, ‘your God is a consuming fire’ (Deuteronomy 4:24).God desires that his love should burn up all before it, everything in ourselves and in our world which resists his shattering light. This includes political structures which have grown too big for their boots, or else actively hide from view the ‘created’ nature of the world and its gifts. In this mold, Christian political activism is about recalling to the world its deep meaning. The trick for Christians (myself included) to keep their distinctive Jesus-shaped reasons for being political always before them, testing the applicability of diverse political claims to the Good News they seek to proclaim. But such a practice often feels like walking a tightrope without a safety net. If we move too far in any given direction we will be in danger of tumbling flat on our face. If we immerse ourselves in a particular political theory or movement, we are in danger of submerging the Gospel in an agenda not its own. If we are too keen to separate the Gospel from concrete political situations people face, our faith becomes insular, twee and sentimental. The early Christians were not persecuted by the Roman state because they ‘told people to be nice to one another’, but because they made a political claim about the nature of power and authority. If ‘Jesus is Lord’ (kyrios Iesous) this means that Caesar and his successors aren’t. The Gospel puts all political parties and ideologies on notice. This is because the Incarnation shows us that the methods of Pharoah and Herod are a perverted shadow of the beloved commonwealth God really intends. The model of public life inaugurated by Jesus is the source of the fullest politics and polis. Unlike its secular counterparts, which are always extensions of coercion and violence, the politics of Jesus is guided by the ethic of love, sacrifice, and service. This is where for the early Church, true community is found. There are times when this radical politics is best served by a pragmatic use of existing institutions and processes to serve God’s peace in the world, just as Paul appeals to the justice of Caesar (Acts 22:22-23:11), but such pragmatism is never an end in itself.We might join a political party or a protest movement, but such an act does not have saving power in itself. It may help to keep us faithful to the Good News we seek to live out, but it can never be a substitute for it. In the midst of the political turmoil, this perspective may help American Christians to continue to tell their story of God’s love faithfully. “The bourgeoisie, wherever it has got the upper hand, has put an end to all feudal, patriarchal, idyllic relations. It has pitilessly torn asunder the motley feudal ties that bound man to his ‘natural superiors,’ and has left remaining no other nexus between man and man than naked self-interest, callous ‘cash payment.’ It has drowned the most heavenly ecstasies of religious fervor, of chivalrous enthusiasm, of philistine sentimentalism, in the icy water of egotistical calculation. It has resolved personal worth into exchange value, and in place of the numberless indefeasible chartered freedoms, has set up that single, unconscionable freedom—Free Trade. In one word, for exploitation, veiled by religious and political illusions, it has substituted naked, shameless, direct, brutal exploitation”. Marx is always at his best when he is talking about loss, a reality he both delights in and mourns. In our era of hyper-globalisation, Marx helps us see a liberalism which has finally cannibalized itself. J.S.Mill speaks in his essay ‘On Liberty’ about ‘experiments in living’ as the goal of liberal politics. People, Mill says, should have the chance to invent a life which suits their diverse temperaments. But shared cultures (whether local, tribal or national) are also experiments in living (attempts to produce diverse human lives). But are we entering an era when only one global culture is possible? Has liberalism become so synonymous with a single model of Western Capitalism that ‘experiments in living’ actually come to an end? Is the liberal snake eating its own tail? The evidence for the latter conjecture is for all to see. As non-European countries become ever more involved in the modernizing processes of market economics, many aspects of Western life (consumerism, status-anxiety, and atomism) are reproduced in exact detail. Cities begin to resemble each other, with the same transport systems, characterless office blocks and gleaming shopping areas. All pre-modern forms of cultural life are gradually confined to specialist museums and galleries, safely discharged of their power to recall to the passing viewer the relative drabness of the ever progressing present. In a world where both time and space are being continually reconfigured, history is allowed to entertain, but it is not allowed to call the sameness of the modern into question. As Marx always appreciated, the best weapon against the insanity of the present is to make the past a weapon. 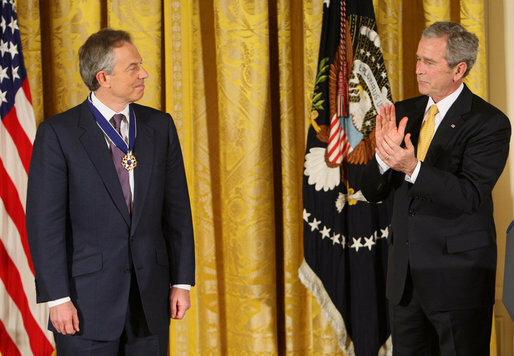 Globalization “has no custom and practice”, says Blair. In this grim assessment, he follows Marx’s fundamental insight, but instead of seeking to pull back from the invasion of a marketised society, this most market-orientated of social democrats insists on perpetual change and a sink or swim ethic. Romantic notions of solidarity are stripped of all meaning as the law of the jungle becomes the law of politics and culture. Here fatalism and pseudo-economics now eclipse both liberty and democracy. What matters is economic fitness, not guiding principles we are reluctant to change. One must ask, is this liberalism, or something else which has insidiously inherited its name? Certainly, if China is anything to go by these globalizing/modernizing processes Blair praises can get on perfectly well without formal creeds of freedom or democracy. Perhaps China is a troubling mirror for a Western world so certain that open economies equal open societies. Just as the governments which used and abused the name of Marx developed totalizing and totalitarian visions of the world, has liberal democracy (in its own quiet way) become stifling and tyrannical? If we follow Blair’s logic to its conclusion, we are not free to build a larger life, but must be engaged in a single race for some generalized prosperity. All barriers to this process (the past, tradition, and custom) must be swept away in its ruthless pursuit. The results of such an attitude are not hard to guess at. Will all human beings eventually be forced into standardized existences of IPads, car parks, and drive-throughs all for the sake of the smooth running of global markets? The great Canadian philosopher George Grant thought so. He imagined a future where everything is so mass-produced, a traveler could go anywhere on earth and sleep in the identical hotel room. Time will tell regarding the accuracy of such predictions, but the Manifesto remains a challenging testament to the notion of an alternative future beyond monoculture. Indeed for Marx, his longed-for future was one recognizable to any liberal, the formation of a liquid self which defies the imposition of a totalizing way of living. As Marx noted later in the German Ideology: ‘[under communism] it is possible for me to do one thing today and another tomorrow, to hunt in the morning, fish in the afternoon, rear cattle in the evening, criticise after dinner, just as I have a mind, without ever becoming hunter, fisherman, herdsman or critic’. Whatever such a world is called, whether communist, socialist, liberal, conservative, or anarchist, may such a day come soon. Some Socialists seem to believe that people should be numbers in a State computer. We believe they should be individuals. We are all unequal. No one, thank heavens, is like anyone else, however much the Socialists may pretend otherwise. We believe that everyone has the right to be unequal but to us every human being is equally important…Everyone must be allowed to develop the abilities he knows he has within him, and she knows she has within her, in the way they choose. In the Enterprise Society, one’s life is subject to yardsticks just as exacting as those supported by the centralizing commissar. One lives by share-prices, productiveness, earning power or output. There is nothing inherently wrong with these things as aims as part of a well-rounded life. Moreover, there is nothing wrong with securing material security for one’s family, if such security does not harm wider society. One must live as one’s conscience dictates and if that means becoming a chief executive, so be it. But Mr. Duncan’s ambition is not a private matter, it constitutes the public creed of the age (reproduced in every school, university, and company in the land). It is not enough that we make money, we must ‘sell ourselves’, contribute to the team’, ‘fit into the company ethos’. We must be productive members of society as defined by the tick-boxes of the managerial class. What does this possessiveness do to the liberalism Thatcherism professes to cherish? In this post-Thatcher world, freedom has been decoupled from liberalism. Freedom to amass, consume and buy is the only freedom thought worth having. And since the spreadsheet fetishists cannot guarantee that we will all agree with this assessment, we must be schooled appropriately. The C.V., annual targets, performance reviews and relentless advertising have replaced the State Computer. True, the world of corporate management while lacking the messianic fervour and casual cruelty of previous forms of mass organisation is equally anti-individualistic. Yet, this is precisely the world that Thatcherism created. Under this new regime, people could be easily pigeon-holed into a role, the most virtuous being the ambitious ‘home-owner’. People were encouraged to have a piece of an identical dream; quiet, bourgeois and rather stilted existences. Nothing could be further from the inspiring slogan ‘Everyone must be allowed to develop the abilities he knows he has within him’. How did it all go so wrong? In part, the error of Thatcherism is in its own exaggerated self-belief. Thatcherism is not merely an economic doctrine, it is a comprehensive vision of the good life, which prescribes work, wealth, and family as the means of establishing a stable and descent society. Such a worldview necessitates `vigorous virtues’ of self-sufficiency, energy, independent-mindedness, adventurousness, loyalty to friends and hardiness in the face of enemies (see Shirley Letwin, The Anatomy of Thatcherism). In other words, Thatcherite politics attempts to subsume all areas of life to itself, disparaging any alternative attempts at articulating value and meaning. It is a vision of politics inherently intolerant of life-alternatives (a view of life just as intolerant as the State Socialism it attempts to supplant). By rejecting other accounts of the good life, Thatcherism politics ended by despising large parts of the liberal tradition it professed to uphold. It preached freedom then defined the nature of freedom in highly dogmatic terms. Thus, despite its liberal dress, Thatcherism has much more in common with its mortal foe Marxism. It is certainly equally as mechanical and materialistic. In both schemes, economics is all. Were we to evaluate people, not only according to their intelligence and their education, their occupations and their power, but according to their kindliness and their courage, their imagination and sensitivity, their sympathy and generosity, there would be no overall inequalities of the sort we have got used to. Who would be able to say that the scientist was superior to the porter with admirable qualities as a father, the civil servant to the lorry-driver with unusual skills at growing roses? A pluralistic society would also be a tolerant society, in which individual differences were actively encouraged as well as passively tolerated, in which full meaning was at last given to the dignity of man. Every human being would then have equal opportunity to develop his or her own special capacities for leading a full life which is also a noble life led for the benefit of others as well as the self. Such pluralism is the exact opposite of our present social order. Instead of feeling ever more at home with themselves (as Young’s vision suggests) people feel increasingly estranged by a technocratic and hierarchical society. Instead of celebrating difference, we valorise an ever-narrower skill-set in the pursuit of ever-narrower economic goals. Daily life feels increased boxed-in, filled with pointless red-tape and monotony, all in the cause of being ‘successful’ (accorded to the perverted lights of this spreadsheet epoch). If the economic fetishist were to express his thrill solely among fellow suffers, one cannot complain. It is the elevation of managerialism and money to the realm of politics which must be objected to. In this vein, what is so sad about many post-Thatcher Conservatives is their relentless desire to impose a single metric of human achievement on the rest of us. All who not share their focus (and perhaps want to spend more time with their family or planting rose bushes) are deemed ‘under-achievers’. Accordingly, the poet, teacher and religious specialist represent different shades of ‘useless’ (unless it can be shown that their work has sufficient monetary value). This, of course, is an understandable judgement, if you have a narrow definition of achievement. It is also understandable that Alan Duncan doesn’t like those who are troubled by significant levels of wealth. If one derives much of one’s sense of identity from one’s wealth, then of course, one is going to call those with a different value set everything under the sun. Such people are an attack on an influential way of looking at the world. How can we flourish in the drab world of money and managerialism? The most subversive thing we can be in this age is being cynical about all upbeat messages of choice, freedom, and authenticity, we are being fed. We can work for a company but we certainly don’t ‘have to enjoy it’. We can earn our keep without being enterprising or pathologically committed. We can do jobs without imbibing any ‘company ethos’. We need to keep before us the silliness of it all. This will give us the breathing space to go on in a society where the retail figures are worthy of their own slot on the Six ‘o’clock News, but where community, friendship and beauty matter little. It is only to be hoped that one day what that great liberal Keynes prophesied will come to pass: ‘The love of money as a possession – as distinguished from the love of money as a means to the enjoyments and realities of life – will be recognized for what it is, a somewhat disgusting morbidity, one of those semi-criminal, semi-pathological propensities which one hands over with a shudder to the specialists in mental disease’. As this year shuffles towards its end, I keep on returning to Teresa May’s controversial comments back in September that:“If you believe you’re a citizen of the world, you’re a citizen of nowhere. You don’t understand what the very word ‘citizenship’ means.” I continue to struggle with these remarks, in part because they seem to diagnose a profound truth about the world we live in, but opt for the wrong remedy. 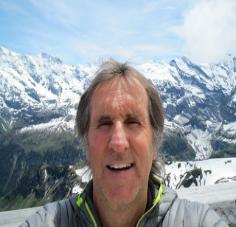 True, the processes of Global Capital have left many feeling nomadic, without stability or a distinctive common life. Many of our corporations feel no loyalty to the country in which they reside, but instead, attempt to increase their advantage in a race for profits, a race which leaves an increasing number of their workers underpaid and poor. May’s answer is to reassert the ‘nation’ to the detriment of those in the nation who feel that they owe no allegiance to national flags and borders. These are the untrustworthy ‘liberal elites’ of populist rhetoric who care more about international trade deals, saving the rainforests or the goings-on at the latest EU summit, rather than the single parent in Barnsley struggling to the pay the bills. May’s use of this kind of duality was perhaps an understandable rhetorical flourish after the bolt of nativism unleashed during the Referendum campaign, but it reveals a potentially dangerous fissure which now defines our politics. We are being forced to choose between the world and our own shores, compelled to either root in our own soil or set ourselves adrift. Those readers who are sensitive to historical precedent might notice the striking similarity between such a poisonous choice and demagogic public discourse of Europe in the 1930s. In that long decade before the storm, political opinion was continually being pushed towards clear-cut solutions, in the form of the International revolution or a racist/nationalist revival. History records the outcome of that experiment in extremes. The nationalist and communist utopias were models of the same nightmare. And why? Because any genuinely humane politics i.e. one which can sustain the full diversity of human experience and character is one in which the cosmopolitan and the nativist impulses are aligned. Both represent deep needs in the human psyche and both must be sustained if politics is to be elastic enough to meet the abiding needs of people. (Red) Tories are convinced that the foundation stones of a good state are built with bricks of ethical firmness and religious depth. The religious institutions that bear the ancient myths, memories and symbols of the community past and present are imperfect, but to negate, ignore or destroy such institutions is to cut ourselves off from the deeper wisdom of the past. The Anglicans have often been called the Tories at prayer, and there might be much more in this cryptic statement than has been probed…. Just as the spirit of historic religion needs the ship of the institution to carry it, so the Tory vision of politics needs the ship of the political party to bring the philosophic vision into being. In short, Tories do not spurn the old institutions that carry their ideas into material form. Those who separate ideals and ideas from the institutions that embody such ideas are most short sighted and doomed to unfulfilled longings. According to their account, political institutions are not Hobbesian contrivances for meeting immediate needs, but cultural attempts to participate in the life and order of eternity. For Ron and Brad, a Red Tory is chiefly someone who seeks the deep unity between cultural institutions and eternal values. This attitude has a long philosophical pedigree, from Plato’s correspondence between the structure of the righteous soul and the organisation of the just city to Simone Weil’s ‘declaration of duties towards mankind’. Here the world of time is understood as a mirror of God’s timeless presence. History is not merely a series of unhappy accidents, but the way in which the world of Spirit becomes concrete. Anything we build here in the temporal world has its analog in another realm of divine mercy: “Truly I tell you, whatever you bind on earth will be bound in heaven, and whatever you loose on earth will be loosed in heaven” (Matt 18:18). Per this reading of public life, whenever a given cultural form seeks general justice, peace, and nobility of purpose, it transcends its own historical location and becomes a vessel for the souls of the citizenry to communicate with the Creator who is in love with the world of time. In this vein, it is not a matter of embracing what is universal at the expense of particularity (or shunning the native at the expense of the cosmopolitan). It is rather a matter of bringing these forces together in a single national life. It is for this reason that Red Toryism, both assured us, celebrates Canada’s rich tradition of multiculturalism. The Canadian government’s decision earlier this year to resettle some 39,000 Syrian refugees seems very much in the spirit of such a theological politics. To seek eternity in the collider scope of temporality means seeking unity in difference, and welcoming the stranger as the face of Christ. By opening up their borders to those in need, people became better Canadians, their moral values on a firmer footing. This is precisely the kind of generous national vision which animates the progressive politics of modern Plaid Cymru and the Scottish National Party in the British Isles. While the British National Party and the UK Independence Party premise their political activity upon multiple exclusions (based on ethnic, political or continental identity) for progressive nationalists, radical hospitality doesn’t mean losing one’s national story. Rather, it means opening a new chapter in a community’s story, a community growing towards unity and liberality. As the former’s party constitution puts it, the goal of Plaid is to ‘build a national community based on equal citizenship, respect for different traditions and cultures and the equal worth of all individuals, whatever their race, nationality, gender, colour, creed, sexuality, age, ability or social background’ (2.3). In such a generous settlement there is no question of affirming what is universal while denying the role of what is historical and contingent. Both are to be held in perfect balance. Just as a universal God is made known in the life of a specific community (Israel) and person (Jesus Christ), so the contours of human culture should be a conduit for what is shared and eternal. Any mode of national or ethnic experience which glorifies itself is merely a phantom which has forgotten its vocation of service to creation. We are one world and should never pull up the drawbridge against those who are brothers and sisters, estranged by distance, but equal in dignity. Conversely, it is unrealistic, and even destructive to attempt to dismantle specific institutions that people have built up over the centuries. Refusal of contingency is a fertile soil for insensitivities of all kinds, everything from cultural chauvinism (shown to those who are insufficiently cosmopolitan) to the erasure of beauty and character from our environment. The world becomes a giant shop-window, peppered with car-parks and clone towns. People are stripped of their unique stories (their loyalties, affections, and homes) and become nothing but one-dimensional consumers. Today, these are the true citizens of nowhere, but it seems unlikely that May’s Blue Tory Party is going to challenge such dispossession. This is the party that directs its bile towards an undemocratic, bossy, and rootless Europe, yet it is quite content to see people sink into homegrown rootlessness, through poverty and meaningless. Such conservatives dislike the thought of power-hungry European officials overburdening British businesses with regulation, but are altogether more relaxed about the burdens carried by those on zero-hours contracts. There seems little evidence that May’s political imagination extends far enough to fully appreciate this contradiction. If she does see it, there is an equal lack of evidence that she wishes to do a great deal about it (except a few fine words). There is plentiful evidence however that she is willing to exploit anti-cosmopolitan sentiment to connect with electors and her party. This may be smart politics but it will do little to heal the country after the referendum result. It may even push us further down the post-truth rabbit-hole, a world in which poisons bigotry becomes the unquestioned dogma of our time. But we must resist such siren calls, no matter how ‘respectable’ they may become in the year ahead. It is certain that 2017 will bring fresh exhortations to turn our backs on the world. But if we are to build a humane politics of roots and hospitality, we must resist the tide. Instead of allowing ourselves to fall into an extreme posture which merely puts the native up against the cosmopolitan, we must seek out a just politics of synthesis. What we need to do through own language, practices, and traditions, is to give space to multiple ‘others’ (living a life which can make the world kinder, more just, ever more worthy of our most cherished ideals). Instead of giving up on universal human rights, multiculturalism, or European co-operation we need to enculturate these things in terms of our own story. We need to apply these concepts so that it gives citizens a stake in a shared destiny, a destiny which serves more than ourselves. If we diminish either particularity or universality in our search for the Good, we will continually find ourselves in difficulty. We need both a sense of home and a radical welcome to the world beyond our walls. This is the core insight of the Red Tory tradition. We serve our own culture’s interests best when we are hospitable, and look beyond our shores. We become people of ‘somewhere’ when we acknowledge our duty to everywhere. We build up a sublime form of citizenship when we understand our belonging in the context of the human family and eternal love from which we spring. When done in the context of prayerful openness to God and fellow, our desire for roots becomes a springboard for a deeper kind of unity. In the practice of building a home for ourselves, we long that all should be at home. The disciples were disheartened and scattered. Without the last two events, the birth of this little baby born in Palestine would probably have never come to the attention of the world at large and thus Christianity would never have been born. Indeed, without the resurrection (or an earth-shaking event very much like it) Jesus’ followers would have remained demoralised, unable to preach their Master’s message, much less put their lives on the line for it no matter how much Mary insisted upon what the Gabriel had told her. After all, doubt is nothing new and most of us need a good shake before we accept the incredible. We need more than visions or hearsay to accept a life change. Thus, it is the Resurrection (and not the star, the magi or even virgin birth) which makes the first Christmas coherent for the early followers of Jesus. That isn’t to say the Nativity stories don’t reveal important dimensions of the Gospel. For Friends, this is indeed the first Quaker story, a narrative in which we glance our own reflection. Our Peace Testimony permeates the nativity in Luke and Matthew. When Friends campaign against war and injustice the divine declaration given to the Shepherds is brought to life again: ‘Glory to God in the highest, and on earth peace to men on whom his favour rests’ (Luke 2:14). When Friends genuinely practice our Testimony to Equality, we sing along with the prophetic voice of Mary, who filled with the Spirit tells us how despite her lowly status in the eyes of society, God ‘has lifted up the humble… filled the hungry with good things, but has sent the rich away empty (Luke 1:53). Here is also the call to value simplicity. God decides to manifest not in the halls of emperors and tyrants but in a ram shack through the body a frightened young woman. What about the Truth Testimony? Oddly I think the greatest mirror of truth in the Christmas Story is King Herod. He represents the world of which we are all familiar; one marred by the politics of fear, mutual suspicion, and violence. Raging and sneering against a new light that he cannot comprehend, Herod is not able to let go of the belief that order is based on fear and leadership on the spilling of blood. In Herod’s own darkness and insecurity, we see more clearly ‘the light’ the little child born in Bethlehem offers. He is a ruler without earthly power, without armies or principalities, without popular majorities or a solve-all-your-problems manifesto. He only has love and the sacrifices which absolute dedication to love requires. Good Friday/Easter became for Christians a new pattern for life, a paradigm with which they discovered the world anew. The only basic facts confronted them as they always had, and same needs plagued them, but they perceived therein a new, deeper, dimension. Even if the present is destroyed and no fortunate solution seems possible, all is not yet lost. God can create something completely new that far exceeds our boldest expectations. This also holds for one’s own life, where death must be confronted, as well as for catastrophes which affect all mankind. The expectation may not be fulfilled, at least not in the manner one wishes. For the new is no automaton, which would turn God’s free, act into a causal event. The future remains open and subject to risk. Christians nevertheless gather hope from the Good Friday experience that death will not be the last word, just as Good Friday was not the end-point it first appeared. What does this new pattern mean in our daily lives? Attempting to articulate this early Christian experience in a contemporary idiom, Benz summarises the new Resurrected reality initiated by Jesus through the following motto, “Whoever trusts in me, shares in a meaningful world, despite decay and death, even when the sun burns out, the earth spins off into space and the universe disintegrates”. Even in the inevitable suffering of the evolutionary process thinks Benz, God is there, using entropy as his method of entry into the world, pushing it towards transformation. I believe it is this cosmic promise that “all is not lost” which drags our increasingly post-Christian culture kicking and screaming back to the baby in the stable. That and the cold weather! Everyone seeks the prospect of a new beginning and a new hope at some point in their lives. The messianic child is the enduring symbol of that deep human need. Yet, having forgotten the old ways of expressing hope (through prayer, reflection, and community) secular society in its love for the Christmas card nativity has no way of accessing its religious meaning. In place, of reverence, devotion, and awe, our culture peddles an easier message of sentimentalism which expressly avoids confronting the theological vision which underlies the Christmas story. How should we as Quakers respond to this kind of avoidance? I think our big dare as Quakers should be to live per the dictum “all is not lost” in a skeptical/atheist culture which says that people don’t come back from the dead and angels never visit shepherds. I’m sure there are many Friends in our Meetings who would agree with this world-view, and herein lays the genuine challenge of the Nativity. By engaging seriously with the life of this extraordinary child, we are encouraged to re-evaluate our basic assumptions about the world (since it is hard to accept Jesus as the baby of promise without also confronting the issue of the empty tomb). Do we as Friends take the Resurrection sufficiently seriously in our Meetings and individual spiritual lives? Or in paying homage to our Christian roots, are we as Friends in fact too confined or too comfortable with our society’s philosophical assumptions about reality? Are we too eager to throw out older theological ways of thinking because agnosticism is easier to explain in a culture doubtful of God? Are we following our sense of God’s leading, or are we reticent to do so, worried by ‘what reasonable people might think? Do we really give the Christian tradition our attention when seeking spiritual clarification and advice? Or are we just content with a ‘chocolate-box nativity’ in December? This is the deep challenge embodied by the child in the stable. William Penn remains one of early Quakerism’s most vibrant thinkers. He not only applied Quaker principles to the tricky business of statecraft but synthesized the charismatic spirituality of the early 1640s with the intellectual impulses of the Restoration’s cultural elite. Among the most influential ingredients of this fusion was the ancient Greek philosophy of Stoicism. Rooted in the rich intellectual melting-pot of 4th century Athens, the Stoic School taught that the path to greatest happiness involved a life of contemplation, simplicity, and sobriety. At the heart of these commitments was a firm belief that deep within each person there subsisted a divine spark of Reason which connected each creature to a Supreme Being. We might say that Stoics felt called to live an ‘accompanied life’. A Stoic sage might be deprived of his possessions, thrown in prison, or be facing death, but he was never distant from the true non-material basis of his happiness, that is, the temple of the heart, where each person meets God. Thus, in a tone, familiar to many contemporary Quakers, the Stoic teacher Epictetus reflects in his Discourses: ‘When you close your doors and make darkness within, remember never to say that you are alone, for you are not alone; nay, God is within, and your genius is within. And what need have they of light to see what you are doing?’ (Book I, Ch. 14). What did this ‘God within’ mean for Stoic attitudes about the outside world? Such an imminent theology rendered the universe a single city, with each member of that universal community holding equal citizenship. This latter belief generated a fascinating flip side to Stoic inwardness. 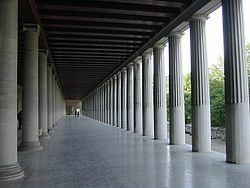 While Stoic teachers emphasized the power of solitude and moderation, the best of the Stoics were actively involved in public affairs and the education of fellow citizens. For his sins, the Stoic sage Seneca the Younger (4 BCE– CE 65) was tutor to the troubled Roman emperor Nero, while Marcus Aurelius (121-180 CE) was himself a Roman emperor (one of Rome’s five Good Emperors) at a time when Rome’s imperial frontiers were beginning to crumble. While his rule could have come at an easier time, his reign is generally remembered by Latin historians as one of solid government, guided by moderation and justice. As the Victorian critic, Matthew Arnold observed: ‘Marcus Aurelius has, for us moderns, this great superiority in interest over Saint Louis or Alfred, that he lived and acted in a state of society modern by its essential characteristics, in an epoch akin to our own, in a brilliant centre of civilization.’ These examples tell us much about the Stoic character. To be a sage was to live in the world (contribute to the building up of institutions) but not ‘of the world’. Outward trouble could not blacken the pearl of the soul because the truly philosophical personality was always fed by deeper things than the lure of worldly success. The Country Life is to be preferr’d; for there we see the Works of God; but in Cities little else but the Works of Men: And the one makes a better Subject for our Contemplation than the other…. God’s Works declare his Power, Wisdom, and Goodness; but Man’s Works, for the most part, his Pride, Folly, and Excess. …The Country is both the Philosopher’s Garden and his Library, in which he Reads and Contemplates the Power, Wisdom, and Goodness of God… A Sweet and Natural Retreat from Noise and Talk, and allows opportunity for Reflection, and gives the best Subjects for it. (Fruits, 220-226). 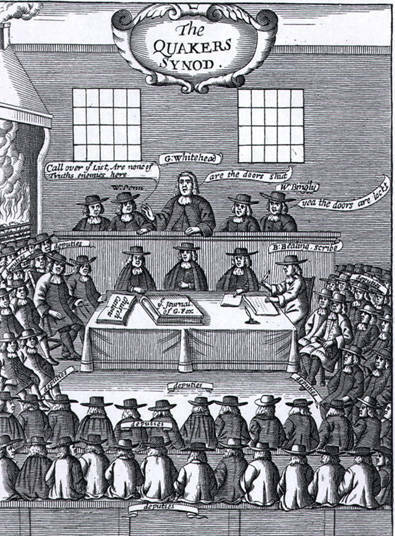 What significance might such philosophical connections have for Quakers today? Instead of offering further commentary, I want to share a few Stoic texts, which encapsulate the deep well of wisdom from which Penn drew. 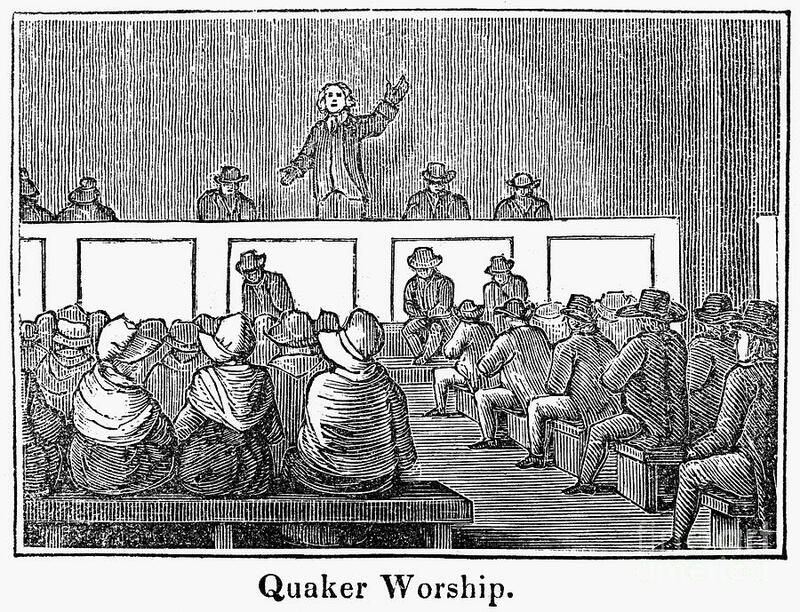 By coming to appreciate these sources, we can come, not only to appreciate these ‘Quakers before Quakerism’, but also understand the ways in which our own Quaker story liberally borrows from the stories of others. Doubtless, a closer appreciation of the relationship between Stoicism and Quakerism can still do for us what it did for Penn. Stoicism might help more insular Friends out of their spiritual shells a bit. By participating a generous dialogue with Stoic thought, we can set ourselves in a wider spiritual context, deeply ‘rooted in Christianity but open to new light’. Stoicism teaches us that we are not alone on the spiritual quest and that wisdom has many watering holes. But a revaluation of the role of Stoicism in Penn’s religious thought does something else as well. Today many British Quakers are orientated towards action out in the world through campaigns for peace and social justice.All this work is doubtless to the good, but there is always the danger that ‘good works culture’ leaves out vital spiritual skills that secretly sustain our witness. Such is the frenzy of activity that some Friends find it increasingly hard to stand back and appreciate what Penn saw as ‘the fruits of solitude’. 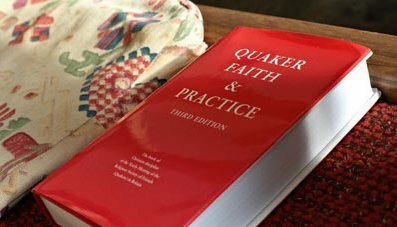 We have forgotten that introspection and self-examination (practiced by Friends in their early journals) are not spiritual luxuries, but necessary ingredients for a balanced Quaker life. For an activity to be meaningful it should be foregrounded in a prayerful attitude which is open to uncovering hidden depths in any given situation. Our work will not be useful to ourselves or others if it is ill-conceived or ill-directed. We need a stable base of composure in order to act properly. But on the back of this, Penn and Stoics teach us a further lesson. There is even dignity in contemplation (even of a highly philosophical variety, to which some ‘practical’ Friends are deeply averse). As the Stoics believed and Penn affirmed, there is no inherent contradiction between the discipline of introspection and public service. After all, it is by going within that we can see more clearly the shape of our lives and those places where the Spirit moves or is being denied. It is by stopping and dwelling in a state of thoughtful stillness that we can find the renewed energy to out into the world armed with our Testimonies. A life devoid of reflection is likely to render us reactive to events, rather than truly responsive to them. In such a disoriented state, we are liable to mistake immediate concerns for non-negotiable duties. Anyone who has had the misfortune of stumbling across my Facebook Page over the last few days can attest to this confusion. What with money and job worries (combined with Brexit, and Trump) I have been more than a little shrill. Sometimes has been a genuine challenge for me to keep a sense of inner calm and maintain a degree of perspective. I live in one of the richest countries on earth, I am in no imminent danger of being homeless or going hungry. I have a mobile phone; a stable internet connection and friends close by. Things feel tougher than they should be, but aren’t they always? And what of the worries generated by social media and our television screens? As Marcus Aurelius puts the matter soberly: ‘Run down the list of those who felt intense anger at something: the most famous, the most unfortunate, the most hated, the most whatever: Where is all that now? Smoke, dust, legend…or not even a legend. Think of all the examples. And how trivial the things we want so passionately are.” It is for reasons of perspective that Advice 3 is such a precious reminder of what really matters: ‘Do you try to set aside times of quiet for openness to the Holy Spirit? All of us need to find a way into silence which allows us to deepen our awareness of the divine and to find the inward source of our strength. Seek to know an inward stillness, even amid the activities of daily life. Do you encourage in yourself and in others a habit of dependence on God’s guidance for each day? Hold yourself and others in the Light, knowing that all are cherished by God’. A wise advice which I aim to follow.